Recently, we had breakfast with a client colleague. We ate a a local city restaurant we’d never been to before. Even though we drove past the restaurant for 20 years, but for some reason, never went inside. We were not expecting much. To our surprise, at 6:45am, we were greeted by a sharply dressed millennial (yes, millennial) and welcomed in. The place was bright and clean. Just as we sat down, our server filled the coffee cups and said good morning with a bright smile. About 3 minutes later, another server came to take our order and was genuinely interested in why we were there, and walked us thought the menu specials. Telling us with high energy what was unique about each special and why we should buy. Food was great as promised. It was very, very, clear that the staff cared about the customer experience in every detail. Guess what…We will be back. This prompted us to think deeply about the customer experience and put some steps and questions in place to help move your customers from satisfied to truly advocating for your brand. 1) How well do you know your customers and the experience that you deliver as a service provider? We’ve been with large organizations (for profit and non-profit) looking to figure out what their own customer experience should be like. As a point of order, if you want to try a field safari on this visit any Apple store or check out Ritz Carlton’s three steps of service for some pointers on what it should feel like. 2) Are you delivering for your customers and clients a truly meaningful experience that will help them in the long term? We’ve learned that if we truly deliver value, we are not just satisfying our clients short term needs. If we do it right, we are building loyal brand advocates for a much, much longer term. Meaning years of opportunity by referrals to others. In a sense, the network your customers have cultivated can become (by referral to others) an exponential increase of opportunities for you to provide value for others. 3) Are you reaching out and driving meaningful discussions and learning from your customers and suppliers? Running a business is fun, challenging work, and your customers are the lifeblood of it. Do you schedule business reviews to address important matters and listen to your customers and suppliers needs on a regular basis? What if you, your supplier, or your customer is underperforming? What should you do? Can you be transparent, have a difficult conversation with your customer (or supplier) and work to confront the issues head on and develop a plan to improve the experience for your customer? So, what’s the difference between a satisfied customer and a brand advocate? Satisfied customers are just that. Satisfied. Nothing Else. They may give you a positive review or complement if someone just happens to ask them. The Brand Advocate is very, very different. The Brand advocate actually seeks out ways from their own personal network for the solution you offer to help others they know. It takes a transition to move a customer to a brand advocate. 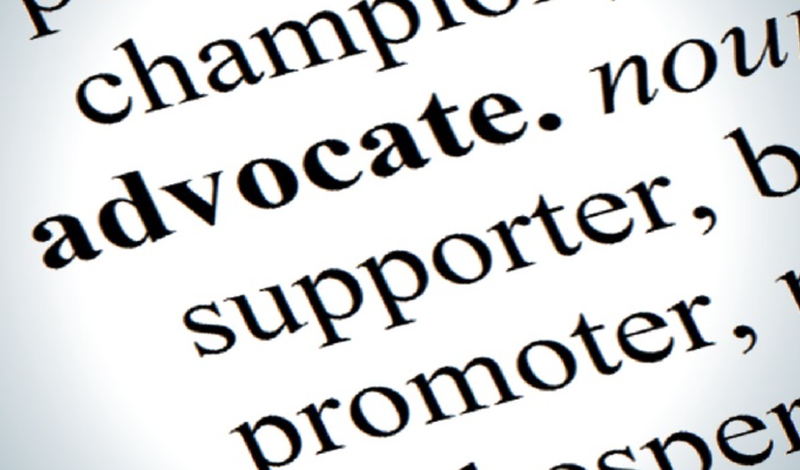 To build your brand advocates, you have to provide a product of service so meaningful, so unique, and so impactful to them professionally, they could not figure out how to get where they need to go without you. You can’t buy your brand advocates. You have to deliver for them. ALL.THE.TIME. Try those 3 steps above with some of your most trusted customers or suppliers and see where the conversation takes you. We promise it will improve the way you do business, and help build your own long-term brand advocates. We help organizations become more profitable. We build strategy. We build ideas and the capability of teams. We design products, services and supply chains. We guide leaders from startup to the Global Fortune 50 to intentionally self-disrupt their offerings and organizations. We provide world-class education, tools and technology on how to craft business operating systems focused on long-term profitable growth. ← Merry Christmas – With Gratitude!